Will Varner is a well-known name in Israelite and prophetic studies. This is a ‘87 book which does two valuable things. 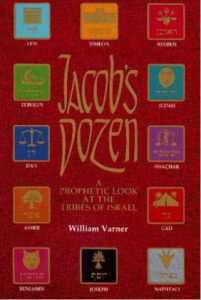 Varner does a study on each of the twelve tribes of Israel according to Jacob’s blessing on each of them. This would make a wonderful character study. Also, Varner traces the present and future place of the “ten lost tribes” of Israel with specific application to British Israelism and White Supremacy groups. He also makes interesting comments on the twelve tribes and the signs of the Zodiac.